The Supported Living Program (SLP) at NeuLife Rehabilitation is dedicated to helping individuals who have experienced a brain injury, spinal cord injury or other significant catastrophic injury or illness maintain stability in functional improvement and wellness. Focusing on quality of life and success over time, NeuLife offers supported living programs designed to provide patients with a safe, home-like setting with all the amenities of community and the comforts of home where they can continue to build independent living skills in a secure environment supported by a team of rehabilitation professionals. Recreational activities, leisure activities, and vocational or volunteer opportunities that are of interest to each patient are offered seven days a week. The supported living program is centered around enriching the quality of life for patients with brain and other neurologic injuries through therapeutic activities combined with normalized community integrated opportunities. We understand that every patient is unique – this mindset is the driving force behind their individualized approach to care. The goal of the SLP is to provide each patient with the tools and opportunities to live a fulfilling and independent life with the support and guidance of clinical experts. These opportunities contribute to a greater sense of independence and quality of life for each patient. We believe that individuals struggling to live independently as the result of a traumatic injury or other catastrophic diagnosis should be able to live an enjoyable and fulfilling life. 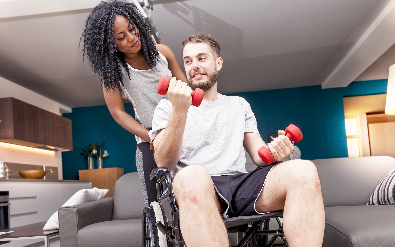 Supported Living provides an encouraging and uplifting inpatient rehabilitation facility that incorporates the personal goals and preferences of each patient. https://neuliferehab.com/post-acute-rehab/ phase of recovery that applies “real life” environments uniquely designed to promote independent living skills and maximize self-reliance. Daily routines at NeuLife provide a sense of security and familiarity which can help individuals who have had repeated difficulties functioning in various environments. NeuLife expects every individual admitted for Supported Living services will live an enjoyable life in a nurturing and positive homelike environment and will be a productive member of a thriving community. 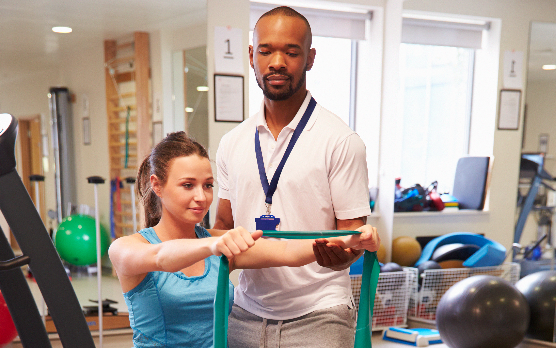 SLP patients participate in specialized activities that encourage them to independently perform tasks under the support and supervision of a team of rehabilitation experts. Trained staff members are available around the clock to assist patients in this process and to ensure their ongoing safety and well-being. Supported Living can be a temporary stepping stone or a permanent solution. For more information about the Supported Living Program, contact a NeuLife Clinical Nurse Liaison, or schedule a tour.